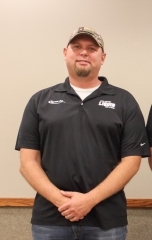 Avery began as a spray pilot for Tyree Ag in 2005, however his experience in aviation and agriculture began way before that. He attended the University of Texas at San Antonio and later acquired his private pilot license in 1997 and his commercial license for ag aviation in 1999. Formerly, Avery worked in Texas for Whatley Flying Service, King Aviation, and Rusty’s Flying Service before moving to Kansas. He married his wife, Amy, in 2010 and they now live in Kinsley and have three children, Jace, Everett, Emily. Avery likes working for a business that has such a strong passion for the industry and takes pride in aiding farmers feed the world.